Even in Brazil, a country with a long coffee tradition, the history of Fazenda da Lagoa is a standout. The roots of Fazenda da Lagoa can be traced to the second half of the 18th century, when Portuguese settlers built a little chapel on the bank of the Amparo River and put up fences around the area that is today’s farm. Amongst the settlers was Manouel Ferreira Carneiro. A man of simple means, he built the first house on the farm that prospered to become one of the largest coffee estates in the region. The knowledge of how to produce one of Brazil’s most outstanding coffees has been passed down from generation to generation. Today, Carneiro’s direct descendant, Joaquím Paiva, is one of the two managing directors of the farm. Fazenda da Lagoa is situated 1,100 meters above sea level near the town of Santo Antonio do Amparo, about 170 kilometers southeast of Belo Horizonte in the province of Minas Gerais. Its 2,850 hectares include a natural reserve, woodlands, pastures and 1,500 hectares of coffees. Streams from 40 natural springs provide water to the land and gradually converge into two small rivers that mark the borders of the grounds. This place of exceptional beauty is a haven for diverse flora and numerous animals. To conserve this natural environment and preserve its ecological balance for future generations, all activities on the farm are carefully monitored. Sustainable principles guide all cultivation and processing practices on the farm. 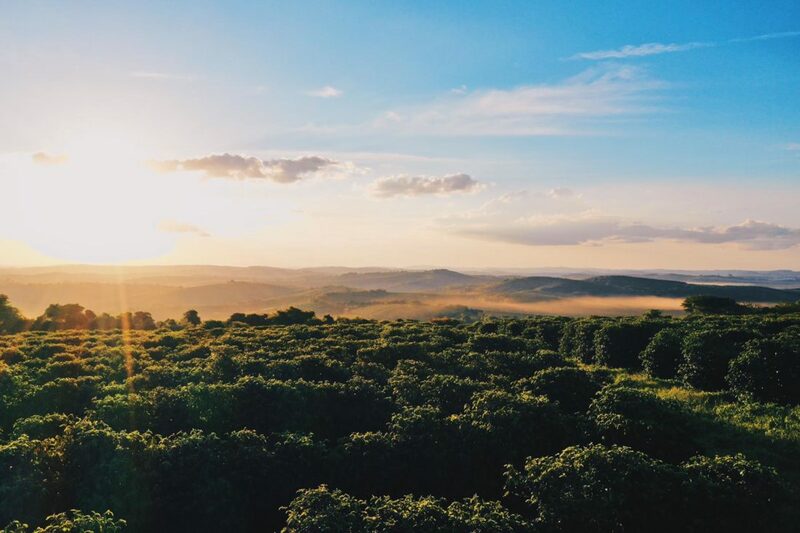 By protecting healthy soils and rivers and producing sustainable coffee, Fazenda da Lagoa aims to be an inspiring partner to neighboring rural communities. At Fazenda da Lagoa, coffee cultivation is much more than a business – it’s a lifestyle. Several generations have been dedicated to creating excellent coffees for the pleasure of people all over the globe. Only Arabica varieties such as Catuaí, Mundo Novo, Acayá and Catucaí have been selected and are grown on the plantation according to strict sustainable principles. While Fazenda da Lagoa honors its 200-year-old coffee tradition, it is also known for its innovative farming approaches, which include modern agricultural techniques that are based on scientific research carried out on the farm. Well-rounded acidity, pleasant sweetness, good complexity, soft nutty characteristics, chocolate notes.